Chicago Personal Injury Lawyer | Power Rogers & Smith, L.L.P. In the aftermath of a catastrophic accident, you may be dealing with the reality of life-altering injuries caused by a car accident, trucking accident, medical malpractice, birth injuries, or the loss of a loved one. When so much has been lost through the negligence or wrongdoing of another, why settle for anything less than one of Chicago’s top personal injury law firms? All three of our partners have been voted Best Lawyers in America® for nearly 20 years, Joseph A. Power Jr. is the President of the Inner Circle of Advocates, a group of the 100 most elite trial lawyers in the entire country, and both Todd A. Smith and Larry R. Rogers Jr. are members of the organization. The attorneys at Power Rogers & Smith, L.L.P. have won more than $4 billion in verdicts and settlements for our clients. That’s $800 million more than our closest competitor since 2000. In fact, Chicago Lawyer magazine's Annual Settlement Survey has named our firm the "No. 1 Plaintiff's Law Firm" in most dollars earned for our clients nine years in a row. When you need a winning attorney in your corner, call on an advocate at our firm. When We Fight, We Fight To Win. Through hard work, preparedness, and tenacious advocacy, Power Rogers & Smith has been the number one injury law firm in terms of financial recoveries for nine consecutive years. We thrive on complex cases involving large corporations, insurance companies, manufacturers, hospitals, and others accused of wrongs, doing whatever it takes to secure justice and maximum financial recovery for our clients. When we fight, we fight to win. As a founding partner of Power Rogers and Smith, Joseph Power is a highly recognized trial attorney. At age 28, he was the youngest in the country to win a million dollar jury verdict for his client. Since 1987, he has been listed in the Harvard Law Graduates Naifeh and Smith book The Best Lawyers in America. Amidst his many awards, Mr. Power was honored with the “Medal of Excellence,” “Citizen of the Year,” and “Special Commendation Award” for exposing the bribe scandal in the Office of Secretary, where he recovered $100 million dollars for his clients. As one of the “Ten Most Influential Illinois Lawyers,” stated by American Lawyer Media, Larry Rogers has dedicated the last 33 years to offering premier legal representation. Early in his career, Mr. Rogers made a name for himself. In 1985, just two years after being admitted into the Illinois Bar, he won $27 million in a product liability case, which at the time was the largest personal injury verdict in Illinois. Since then, he has gone on to win many multimillion dollar settlements and verdicts. He has been awarded many honors, some of which include The DePaul University College of Law Alumni Award for Outstanding Service to the Legal Profession and Distinguished Alumni Award from St. Xavier University. His extensive experience and passion for his work make him one of Illinois’ top lawyers. Todd Smith is one of Illinois’ premier personal injury attorneys. A founder of the firm, he has dedicated more than 30 years to handling personal injury, product liability, wrongful death, and medical malpractice litigation. He was the president of the Association of Trial Lawyers of America, a group with 60,000 members. He was also named “Person of the Year” by the Chicago Lawyer Magazine. His many distinguished years in the field and vast experience led to a “Lifetime Achievement Award” by the American Association of Justice. Mr. Smith works hard to defend citizens against big corporations, insurance companies, hospitals, and government agencies. Find out what he can do for you! Thomas Siracusa has been with Power Rogers & Smith since 1986. He has won numerous multimillion dollar settlements for victims of medical malpractice. He obtained $23 million dollars in a case involving brain damage and quadriplegia due to malpractice during labor. The outcome of the case was heralded as the largest settlement for a birth-related injury. Thomas Power has been a partner at Power Rogers and Smith since 1992. He is a prolific litigator who protects plaintiffs in cases of wrongful deaths, automobile negligence, product liability, and medical malpractice. His prior experience includes working seven years as a public defender at the Cook County Public Defender Murder Task Force. During his time there, he handled 300 cases. He has won multiple, substantial medical malpractice and serious injury verdicts and settlements. Larry Rogers Jr. has been advocating for victims’ rights for over two decades. He helped settle a trucking accident case that left a reverend and his wife severely burned and killed their six children. Mr. Rogers won $100 million dollars for the family and made it so that truck drivers were re-tested to ensure safer roads. He also helped settle a medical negligence case, where a young boy was denied urgent aid because he was outside the emergency room. The verdict of the case brought about changes to the Emergency Medical Treatment and Labor Act. Mr. Rogers works tirelessly to make sure that everyday people are treated fairly against large corporations. A partner at Power Rogers & Smith, Devon Bruce is a premier attorney, handling all types of personal injury and wrongful death cases. Mr. Bruce also practices in accounting and banking malpractices. In 2014, he resolved more than $29 million for his clients. He settled a case for the City of Dixon against their treasurer. Rita Crundwell stole $53 million dollars from the city and Mr. Bruce was able to retrieve $40 million of those dollars. He was named one of the “40 Lawyers Under 40” by The Chicago Lawyer magazine. And since 2011, Mr. Bruce has annually been elected as a leading lawyer by his peers. Before joining Power Rogers & Smith, Joseph Balesteri worked as a defense lawyer for Hinshaw and Culbertson, where he defended hospitals, doctors, and nurses. His experience as a defender gives him insight into the way these medical corporations work. He brings these insights when fighting for plaintiffs at PRS. Since starting at Power Rogers & Smith in 2000, Balesteri has won more than $600 million for his clients. He was named a Leading Lawyer by the Law Bulletin Publishing Company by the time he was 34, a distinction only allotted to 5% of all personal injury attorneys in Illinois. 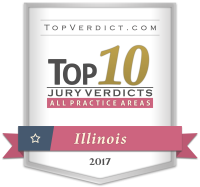 He was selected as a “Top 100 Lawyer” by Illinois Super Lawyers® in 2015. Sean Houlihan has been a part of Power Rogers & Smith since 2002. He is a member of the Chicago premises liability lawyers, as well as the Chicago malpractice lawyers. His experience in both areas makes him successful and aggressive in fighting for justice. Not only that, Mr. Houlihan is very much a part of the intellectual legal community. He has authored several articles for the Illinois Trial Lawyers Association and Illinois State Bar Association. Having worked as an assistant legal counsel to the Speaker of the House of Representatives, Brian Lacien has extensive and comprehensive legal experience. He utilizes this experience to fight for plaintiffs in cases such as medical negligence, wrongful death, vehicle negligence, product liability, and more. Mr. LaCien has won many substantial cases, including one where a woman was struck by a garbage truck that malfunctioned. He was able to obtain $3.9 million dollars for his client. Graduating from DePaul University College of Law, Carolyn Daley Scott joined Power Rogers & Smith in 2006. She practices in personal injury and wrongful death, as well as prosecuting qui tam, which is fraud committed against the United States, the state of Illinois, and the city of Chicago. Ms. Scott is an active member of the legal community, being part of various organizations such as Chicago Bar Association and Illinois Trial Lawyers Association. She works hard to ensure victims are treated fairly and receive justice. A graduate of Loyola University Chicago School of Law, Jonathan Thomas is an invaluable asset to Power Rogers & Smith. He joined the firm in 2011 and practices in product, premise, and automobile liability as well as aviation litigation. He was selected to The National Trial Lawyers: Top 40 under 40 and is an active member of multiple legal organizations. Kathryn (“Kate”) Conway joined the law firm of Power Rogers & Smith in 2011. Ms. Conway handles a variety of personal injury and wrongful death cases, including medical malpractice, automotive and trucking negligence, premises liability, and product liability actions. Ms. Conway has tried cases in both State and Federal Court, and between January 2017 and March of 2018, Ms. Conway tried three separate medical malpractice cases, each resulting in multi-million dollar awards for her clients. James Power joined Power Rogers & Smith in 2016. He focuses primarily on personal injury, wrongful death, medical malpractice, automotive and trucking negligence, products liability, premises liability and other professional malpractice. Since our firm opened, we have been committed not only to pursuing justice for victims, but to affecting change. When an individual is injured in a trucking accident, we fight to change policy so it never happens again. When patients suffer devastating injuries through hospital negligence, we fight to implement new procedures to mitigate risk and promote patient safety. In one instance, we handled a highly public, $12.5 million case in which a teenage boy bled to death outside a hospital’s doors. The case prompted federal regulators to take action and mandate that all hospital personnel assist anyone in need of care who is within their reach. In another case, we obtained a record recovery of $100 million in a combined trucking accident and product liability case. Six children were wrongfully killed. The incident prompted an investigation that eventually led to the conviction of 74 wrongdoers, including a former Illinois Governor, and also mandated that more than 2,000 truck drivers be retested. We fight for change and we fight for justice. Entrust your future to the caring, competent, and zealous Chicago personal injury lawyers at Power Rogers & Smith, L.L.P. If you or someone you love has been involved in a serious or catastrophic incident, let the Chicago injury lawyers at Power Rogers & Smith fight for you. When it comes to tort claims, liability and damages are two sides of the same coin. Liability can be an intentional act, negligence, or strict liability. Damages refers to the resulting physical, emotional, or financial loss suffered as a result of the liability. These principles form the foundation for all personal injury lawsuits. According to 735 ILCS 5/13-202, the civil statute of limitation for injuries to a person in Illinois is two years. The two years may start from the date of injury, date of diagnosis, or vary if the case has a criminal component. What are "damages" and how are they calculated? Damages refers to the sum of money awarded to the plaintiff as a result of a personal injury lawsuit. It is a remedy in tort law offered to the harmed party. In Illinois, there are no caps on damages. The law allows for “fair and just compensation” for the harmed party in the form of economic, noneconomic, and punitive damages. Damages are assessed by taking into account medical expenses, disfigurement, disability, loss of normal life, likelihood of future harm, and more. More than 90% of defendants plead guilty instead of taking their case to trial, while 97% of civil cases are settled rather than going to trial. In the decade between 1992 and 2001, the number of civil cases tried in court dropped from 22,451 to 11,908. Statistically, the odds are in the favor of the settlement table, but our team of trial lawyers frequently litigates personal injury cases at trial. Power Rogers & Smith, L.L.P. Thank you Joe, James, Laurie and everyone at the firm, from the bottom of my heart.